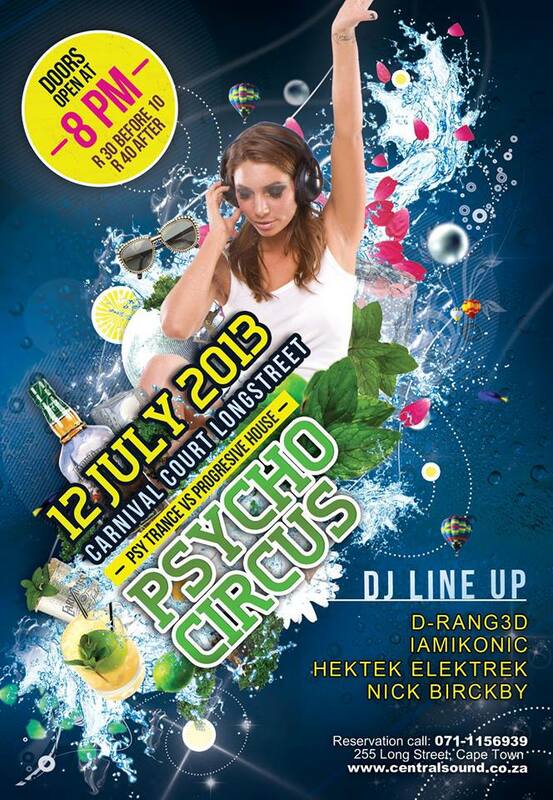 Get psyked the circus is coming to town! on Friday the 12th of July 2013. What makes this event psyk-worthy? Things are going to get festive at Carnival Court backpackers on Friday. Psycho Circus will transform the local, little hang-out into a vibrant psy-hub. Setting the stage for top South African acts as well as up and coming artists to provide the best of both worlds: uplifting progressive beats and full-on psychedelic trance. – Banging sound and extreme lighting provided by Intense Lights. – Super psychedelic decor by CentralSound, Intense DECO Productions. – A spacious, air-condition dance floor to better your stomping experience. – A fully stocked bar with insane drink specials. IN THE PSYK LIGHT today is: Sirajuddin Kadri, AKA Drang3d. 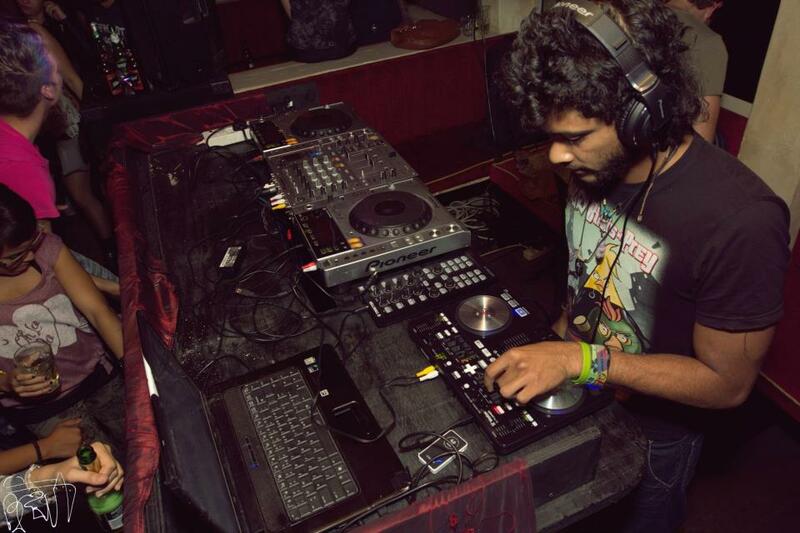 His style consists of a mix up of full-on psytrance and groovy progressive bass lines. It’s all about smooth transitions, creative melody and positive, high-energy sounds to keep bodies moving. This 25 year old has been rocking up a storm in Cape Town, dropping beats at top events and venues like the The Side Show. 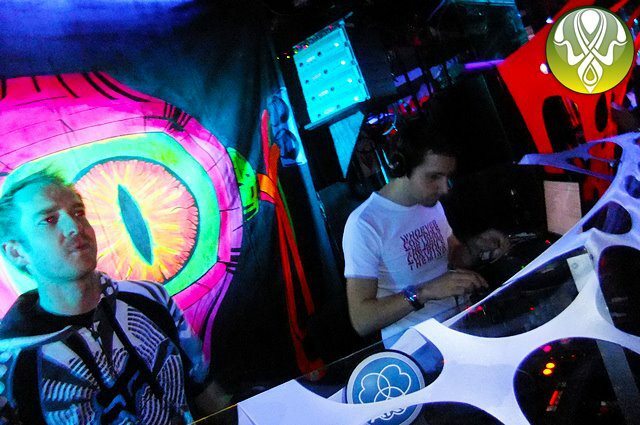 He recently played at Mystical Contact along-side pro’s Bizzare Contact and Mystical Complex. 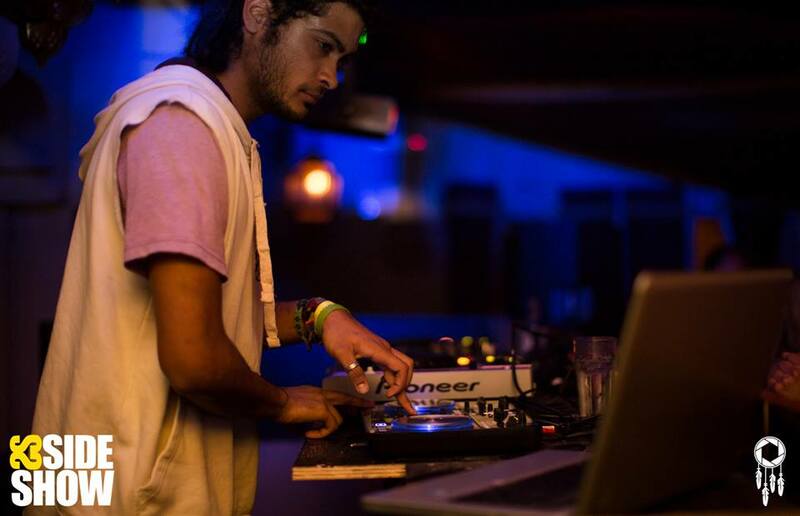 And he’s set to share the stage with psy-hero, Bliss all the way from Israel. Look out for Drang3d at Aurora presents BLISS @ The Side Show. John Clark & James Donaldson (AKA: Hektek Elektrek) have become known for their epic, high energy psygressive beats with shamanic undertones. 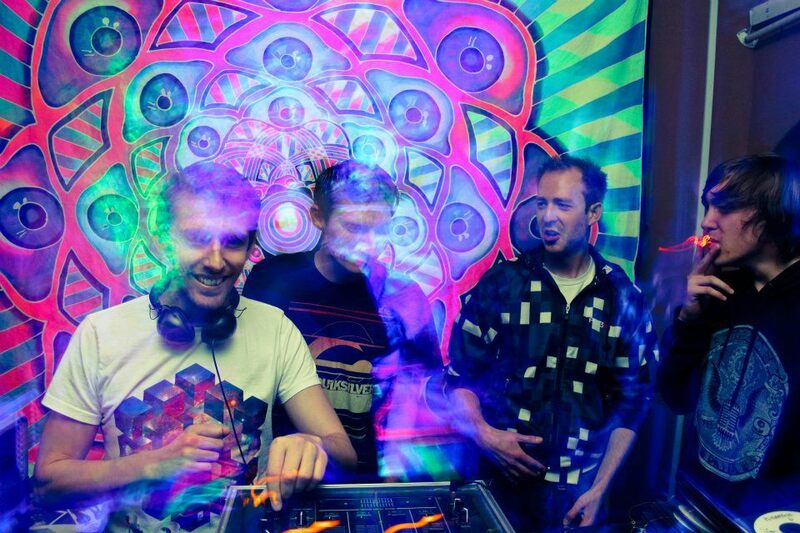 Come and get entranced to the ritualistic pro psy and psy tech rhythms of a dynamic DJ duo. And they’re going to sell out fast. Skip the queue and avoid any disappointment. Get your ticket online now. Swing by for a night of entertainment, talent and plenty psyk. Without the pricey entrance fee.